Fill your days with fun! 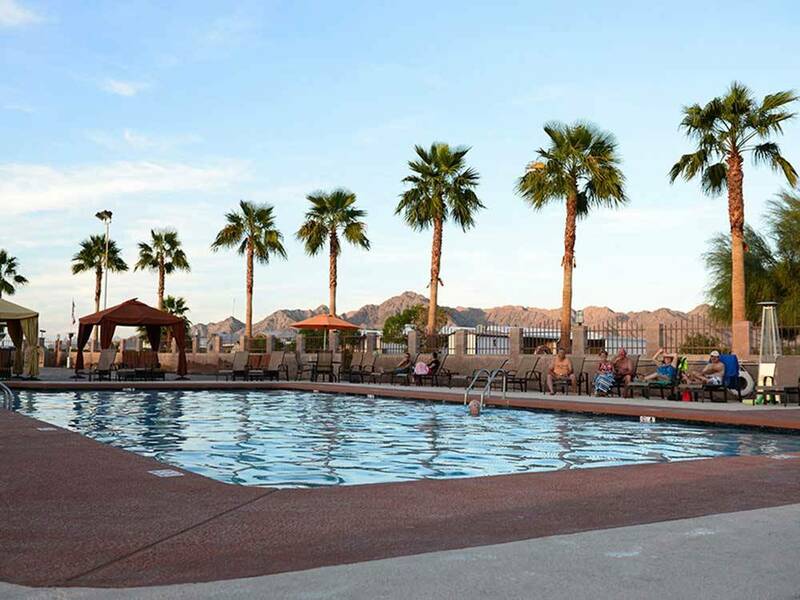 With over 1200 sites, a 9-hole golf course and on-site restaurant, you won't have to leave your car to enjoy this 5-star resort. 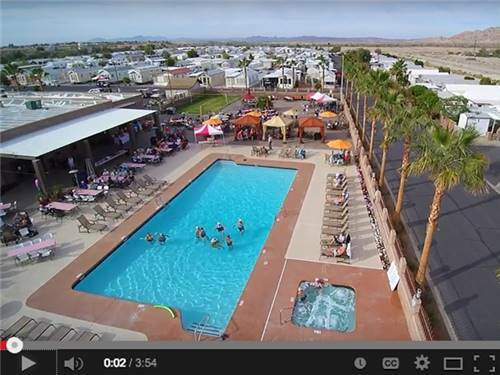 Located in the foothills of Yuma, AZ with lakes and casinos nearby. Just recently stayed here a second time for a week this February. I still think this is a 10/10/10 RV experience. The facilities are well maintained and up to date. They include a golf course, resort style pool, bar and grill, saloon, and the best sports facilities I've seen anywhere. The dog park is a real benefit (they are large fenced in grass areas with seats, and dog agility stations). I will be back for a longer stay next year. This is a great place to relax and enjoy the surrounding area. The facilities are great and well maintained. The dog park is really nice. Hookups were solid and without issue. We will be back for an extended stay this fall. A Place to call home under beautiful open skies! 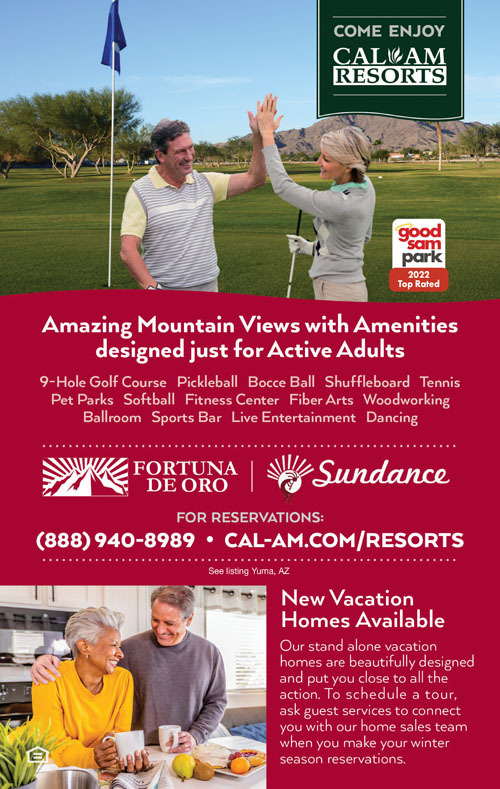 Discover a 9-hole golf course, full-size softball field, sports complex featuring tennis, pickleball, bocce ball, shuffleboard, and horseshoes, two pools with spas, and a sports bar. Fill your days with fresh air and fun!